eBay just keeps on getting better and better, now wanting to make it easy for those who use the site to fill up their PayPal account whilst they are abroad. eBay’s PayPal unit has recently partnered with MoneyGram, the second-largest global money transfer company, to allow its users access to their PayPal accounts at MoneyGram’s 284,000 locations around the world, allowing them to top up their accounts with cash. PayPal users will also be able to take out cash from their accounts in all of the 195 countries where MoneyGram is located. PayPal’s new service means that even those who don’t have a credit card or bank account can take advantage of this new offering, because a mobile number or email address is all that is required. The new service will be tested in the U.S. in early 2013, and gradually be rolled out everywhere else, as explained in PayPal’s blog. What do you think of this new move? 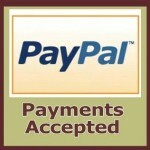 Do you think it will help PayPal strengthen their offline presence and become even more popular?